The xPress 250 is suitable, for example, for the production of profile doors. The high-performance press is also suitiable for continuous operation. 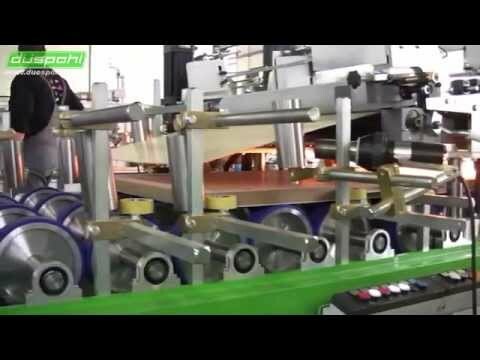 On the video, you can see the process of producing door leaves. The operating speed of this systems is approx. 15 m/min. Approximately 6 doors per minute will be processed. 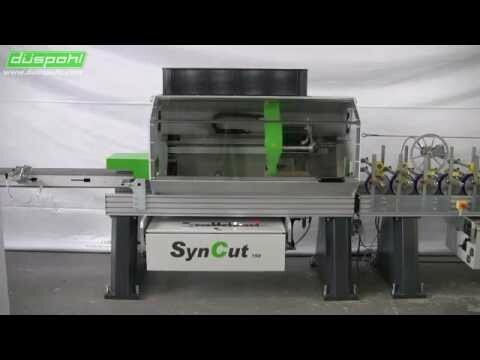 Fast, precise cut-off saw for profiles from Düspohl. 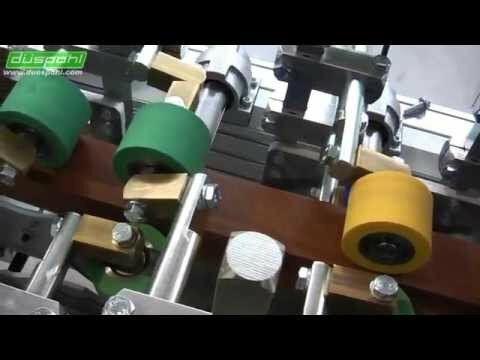 Horizontal and vertical saw motors are controlled by digital servo motors. No workpiece clamping is required so part remain unmarred. Virtually infinite sizing and ready repeatability. 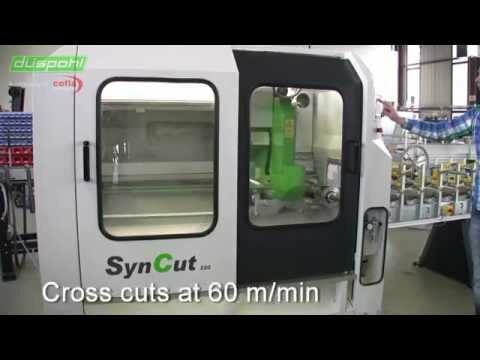 The parallel cutting machine, for the continuous cutting of profiles, which operates silently and precisely at elevated speeds. The best quality of the cutting results is achieved by a technically sophisticated system. Feed speeds of up to 40 m/min are achieved. MultiWrap laminates plastic or metal profiles panels via reel-mounted materials. MultiWrap combines an economical investment level with unlimited model diversity and has a fully automated production processes. 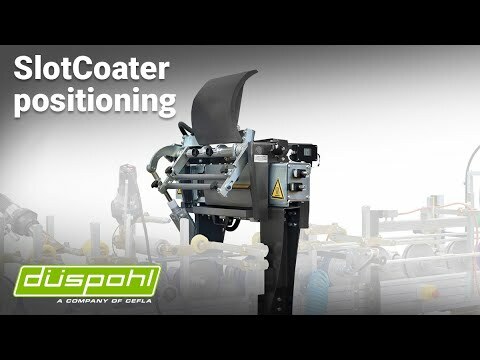 Adhesive application is achieved with a unique and simply to operate continuously variable slot coater. The modular system allows product-specific assembly of units. Primer application offering unsurpassed and reproducible process reliability represents the foundation for the highest possible product quality. What does profile wrapping mean? 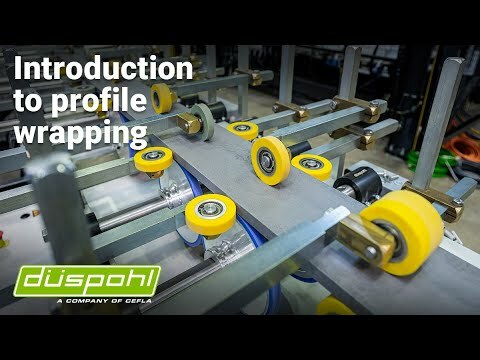 Profile wrapping is a process by which a decorative surface is laminated to a carrier material in rectilinear form. The lamination is carried out with a profile sheathing machine. RoboWrap is the most advanced profile wrapping system available. 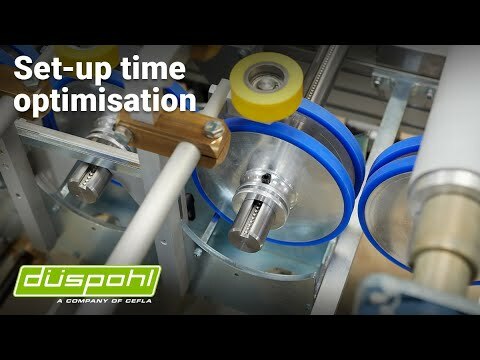 Fully-automatic set-up can be accomplished in under two minutes making it perfect for just-in-time production. 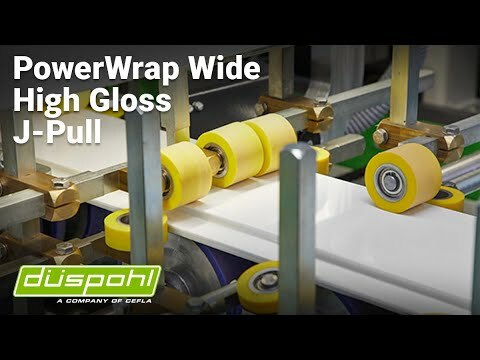 düspohl presents the RoboWrap at this year's Ligna. The RoboWrap fulfills the desire of the producers for shorter set-up times with simultaneously smaller batch sizes and reduces these times to only a few minutes by the use of modern and proven robot technology. SlotCoater is the best solution for adhesive coating of reel-mounted materials, including rough veneers. It offers up to 30% adhesive savings compared to roller application, consistent application, no uncoated areas. By optimizing the positioning of the SlotCoater as precisely as possible, you will receive a better result in production. This is made possible by a system of scanners, which scan the figures to be processed and align the SlotCoater with the parameters thus determined.